When it comes to superhero comics, there is a constant urge to find the next big thing. Marvel and DC Comics both publish dozens of series each month, and that is not to mention all of the mini series, digital exclusives, and other superhero comics from smaller publishers. The result is a wave of new adventures featuring spandex costumes and feats of bravery. While all of these series have their own form of fandom, sometimes generating mass appeal and sometimes only a cult following, a few seem to breakout each year as the best representatives of both their genre and medium. They are the exceptions that tell the most inspiring tales or manage to reinvent the superhero wheel once again. As part of this quest to remain vigilant for the next big thing, we are ready to offer up our best bet for the great new superhero writer of 2018: Mariko Tamaki. Tamaki is someone that fans of the indie comics scene will likely recognize without a second of thought, but she is very new to superhero comics. In the past couple of years, she has only been featured on a handful of series. However, these initial footsteps into a new medium and publishing model have revealed a writer more than capable of taking massive leaps forward. For readers who are curious to discover who Tamaki is, why she is a great comics creator, and what makes her an excellent fit for superhero comics, there is already plenty of evidence. That is why we are looking back on her earlier work outside of superheroes, her DC and Marvel series to date, and what comes next. When you combine all of these elements, it is clear that Mariko Tamaki is a name that should not be ignored by any fan of superhero comics. It is difficult to overstate the advantages of not coming up in superhero comics for a start. While many of our favorite writers cut their teeth on the same sort of comics they write today, many more began with their own indie creations, developing series in other genres, or outside of comics altogether. Working outside of superhero comics exposes writers to skills and stories they would not encounter in a career consumed by this one medium and genre. Tamaki’s resume to date is unique in the field and is already having an impact on the stories she chooses to tell that do feature superpowers. Many of Tamaki’s comics could be defined as being slice of life. They focus on real world dramas, often alluding to greater conflicts or internal struggles through the highly specific. 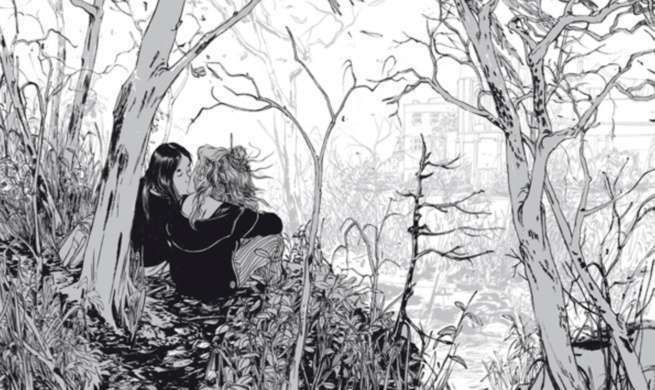 She first rose to prominence with the publication of Skim, a comic about a young woman struggling with depression at a parochial school that was drawn by Tamaki’s cousin and longtime collaborator Jillian Tamaki. It is an outstanding comic that revels in the power of introspection and small moments. The duo were also celebrated recently for the comic This One Summer that focuses on two pre-teen girls exploring their identities during family vacations to the countryside. It is a poetic examination of youth and the less obvious ways in which we lose our innocence. In both these comics and many other examples of Tamaki’s work, characters reveal big ideas through small actions and thoughts. They never state the point, but still cut into themes with a scalpel. It is this thoughtful style that has set Tamaki’s earliest superhero comics apart from the crowd. Both of Tamaki’s most prominent superhero comics to date have focused on popular heroines from DC and Marvel Comics. 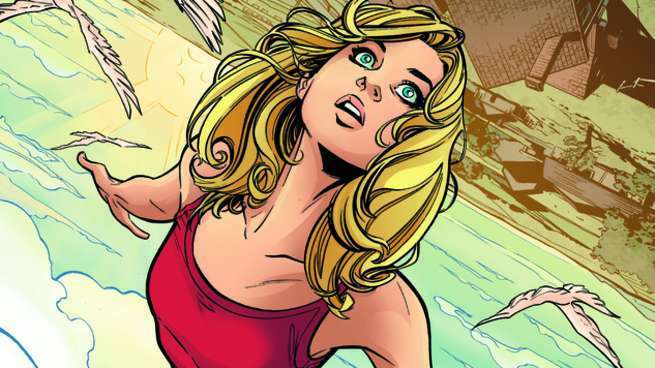 Supergirl: Being Super was a prestige miniseries, recently collected into a single volume. It details Supergirl’s high school experiences as she balances her heritage and dreams of a grand future with her current life. Much like Tamaki’s prior popular works it plays on coming of age themes, and uses them to create a simultaneously specific and universal tale of the teenage experience. It also showed how well Tamaki can contain even the notoriously rambling superhero genre with a story that is succinct and wonderfully self-contained. While there remains the possibility of future installments, “Being Super” does not require any as it provides an ending that will satisfy almost any fan. It also manages to provide a truly all-ages adventure, one that could be used in secondary classrooms in addition to appealing to any superhero fan wandering through their comic book store. Hulk, later She-Hulk, provided a bit more mature narrative. Spinning out of the events of Civil War II, it plays on Jennifer Walter’s grief and trauma after almost being killed at the hands of Thanos. The normally well composed, superpowered lawyer now struggles with her alter-ego and a rare sense of rage for the character. Both her supporting cast and antagonists build on this serious look at how individuals struggle with past harm, often pushing readers to accept messy solutions. This series exposes how well Tamaki can utilize the grand metaphors of superhero comics to tackle complex topics, and make them relevant to more mature and modern understandings. Both of these successful series build naturally into Tamaki’s newest debut this week in the new X-23 series. Laura Kinney is a character who is both young enough to play on the coming of age tropes in Supergirl: Being Super and whose past contains the complex traumas and themes found in Hulk. She is a perfect synthesis of where Tamaki has shown the most strength in the genre, and presents a launching point for something even greater. 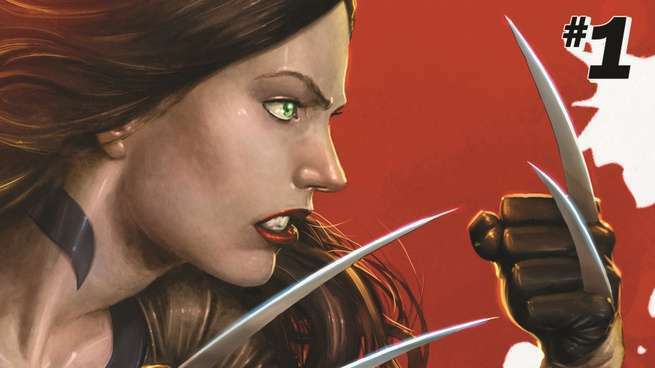 X-23 is a series that has helped to launch other careers in the past, including writer Marjorie Liu and artist Sana Takeda, the beloved team behind Image Comics’ Monstress. This combined with Tamaki’s work on the miniseries Claws Of A Killer have her poised to keep taking on bigger projects at Marvel Comics. Wherever Tamaki goes next, it’s clear that Marvel, DC, and any other interested superhero publisher should be competing hard for her time. Both in and outside of this genre, Tamaki has yet to stumble in the world of comics, and her superhero resume is only growing stronger by the month. She is a potent new force in the world of superhero comics, and one that looks likely to end the year as one of the biggest new writing talents in this section of the industry.